Moshe learning straight sword form. When you least expect it good things happen. We arrived in Hong Kong without any plans or road map. I randomly picked a hotel that seemed nice. I realized we were not far from Kowloon, where Bruce Lee once lived. I thought it would be exciting to step where he stepped. Everything was interesting of course and there was much to learn; the discipline of the people, the cleanliness, the handrails at the train station being disinfected every four hours. I was impressed. This is a clean and disciplined city. And then we chanced upon the Kowloon Park. 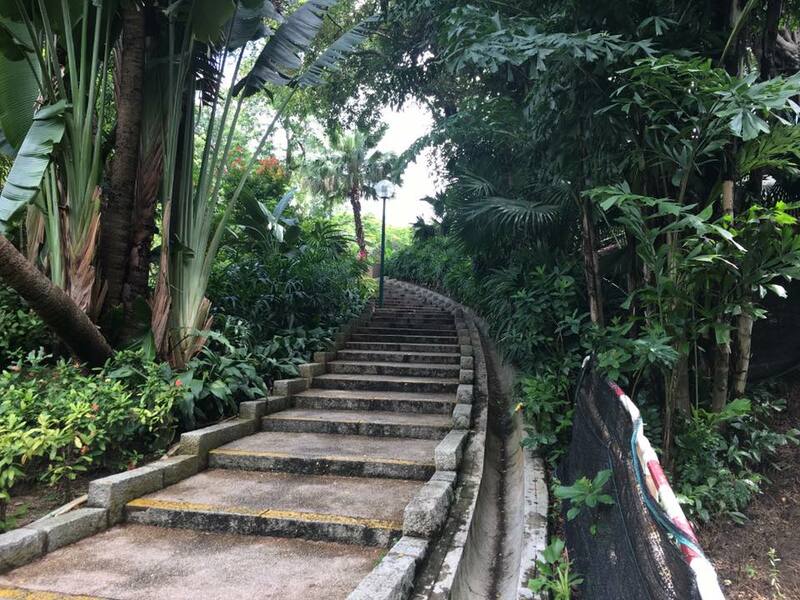 The park is a beautiful peaceful place filled with exotic foliage, trees, water falls, flowers, bamboo trees and chirping birds. Tranquility in the midst of a bustling city. Pristine beauty in the midst of high risers. I can certainly appreciate all this beauty but there is something more. 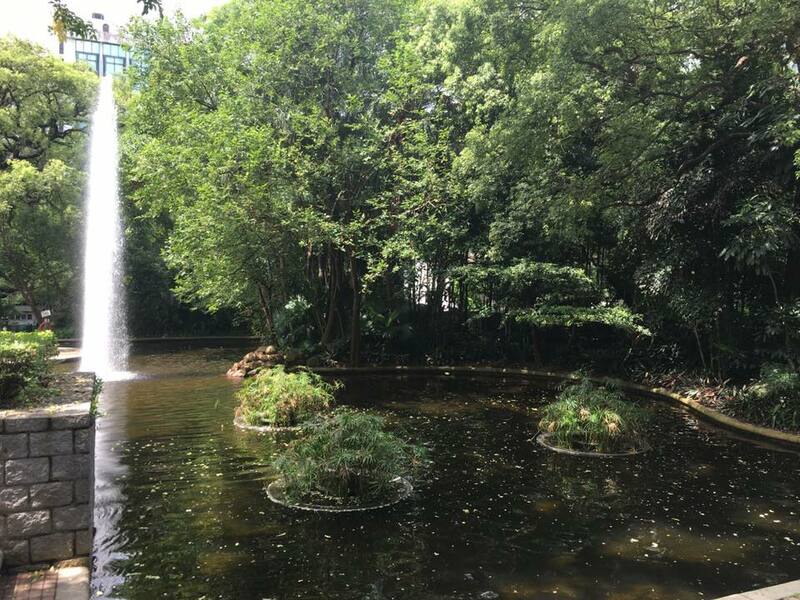 Just a tiny taste of the beauty and tranquility of Kowloon Park. 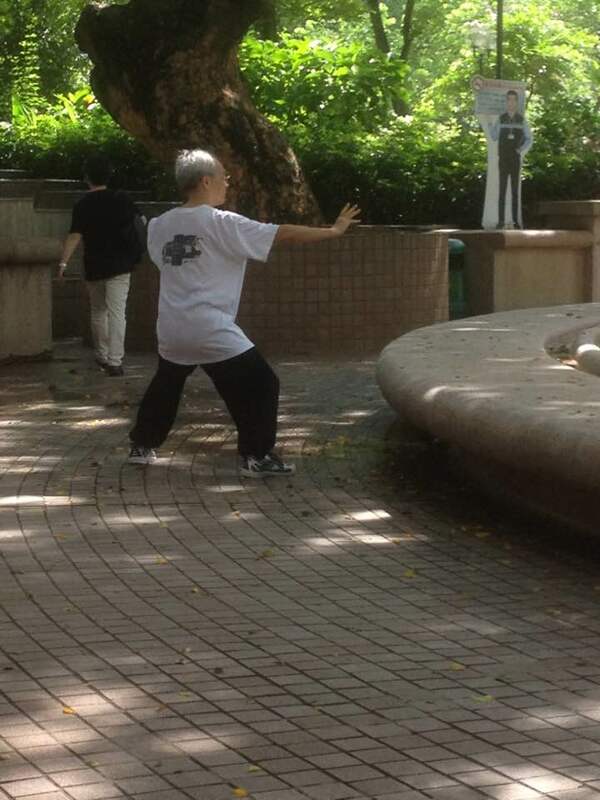 Suddenly I noticed an older man doing Tai Chi. Just one solitary man. He was very focused, very flowing. I did not dare disturb him, I just watched and admired from a distance. Soon I saw more men, each on his own, practicing his martial art. Later on I saw women doing Chi Gung. I am grateful that I studied enough of these arts to recognize them immediately. I cannot describe the thrill of seeing these arts in their native lands, totally void of ego or commercialism. Soon I saw two older women, one was clearly the teacher. The women were first practicing the sword form and then the fan form. What a beautiful sight. I walked a little more and soon discovered a treasure. I felt like an explorer in the wild finally finding his elusive white tiger. 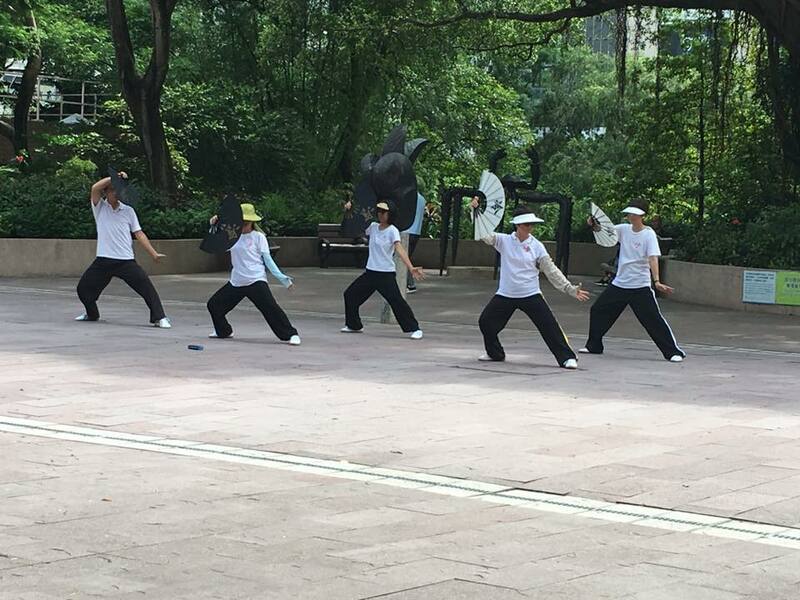 It was a group of Tai Chi (Tai Ji) practitioners, perhaps 8 of them with two beginners on the side. I gazed upon them with silent admiration. I noticed the teacher. She possessed a magical gracefulness. I have never enjoyed watching dance but for me this was martial poetry in motion, I was mesmerized. Soon they moved to the fan form and then to the sword form. At the conclusion I looked in the direction of the teacher and applauded her. She looked right back at me and gave the traditional bow. I recognized the bow at once as the open/closed hand bow that we used at Dux Ninjitsu and I returned the bow. It was a magical moment for me. I recognized her skill and ability and wanted to show my respect. She in return received it and acknowledged me. 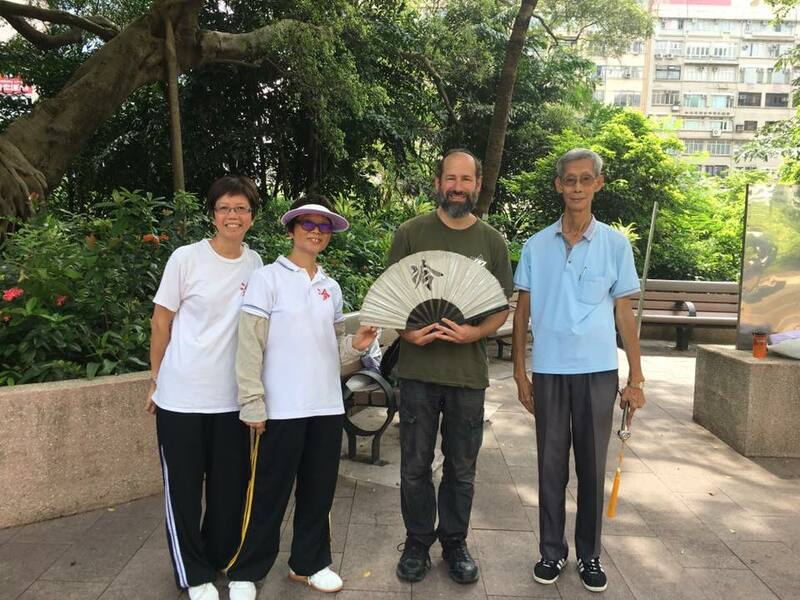 I then walked up to the group and greeted the teacher, using the few Cantonese words I had learned. I explained that we (Esther and myself) are Krav Maga instructors from Israel, or "Israeli Kung Fu" and that we are greatly honored to witness and experience her form of martial arts. She honored me by sharing the straight sword form. I was a student again! To chance upon such a group of martial artists, practicing their native art in their native land, to feel the authenticity, all in amidst of the tranquility of this magnificent park, was a moment of heaven, true joy. Watching this group of Tai Ji practitioners I noticed many common elements with our style of Krav Maga. I recognized the power of the circle and the flowing energy; relaxed movement and explosive energy. I noticed the use of the feet to generate more power in the upper body strikes. I saw what I call the recycling of energy which we employ in IKI Krav Maga but which is absent from most styles of Krav Maga which rely on force alone. I have always stressed that our style owes a great deal to the Chinese martial arts, which are our roots. At the higher levels of Krav Maga we become more Chinese, we flow more naturally, the movements are relaxed, not forced. One of my greatest compliments was when a student arrived from China to participate in our Tour and Train program and told me that "I heard about you in China as the guy who teaches Chinese style Krav Maga ". Tai Ji, the grand master. The fan form, some are holding light colored fans, others, (Less visible) are holding black fans. The tranquility of Kowloon Park. The man to my left is over 80 years old. The woman to my right is the instructor. 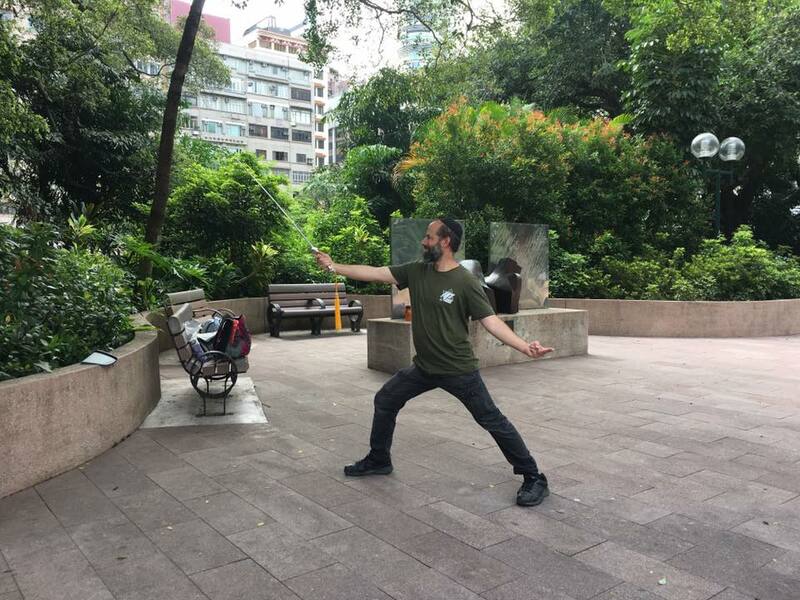 Solitary man doing Tai Ji, Kowloon Park, Hong Kong, SAR China. 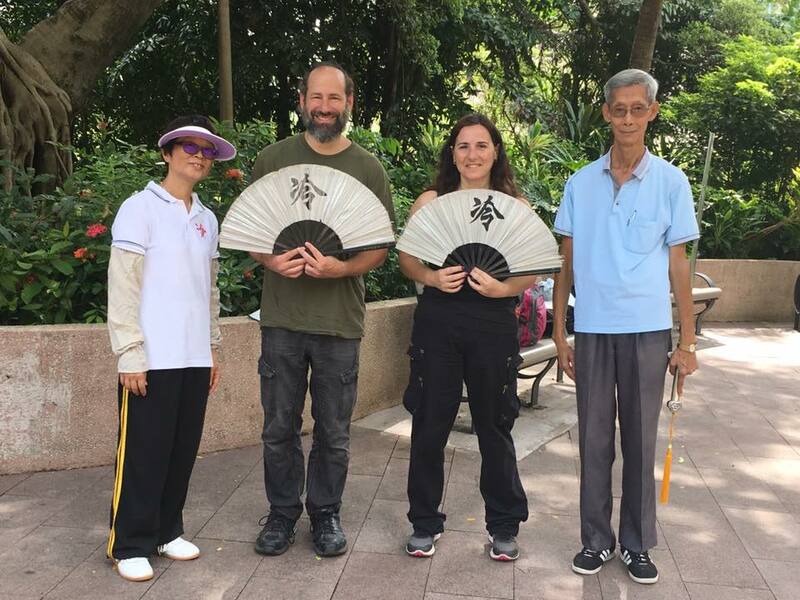 Our instructor, myself, Esther Lehman, young tai ji man. 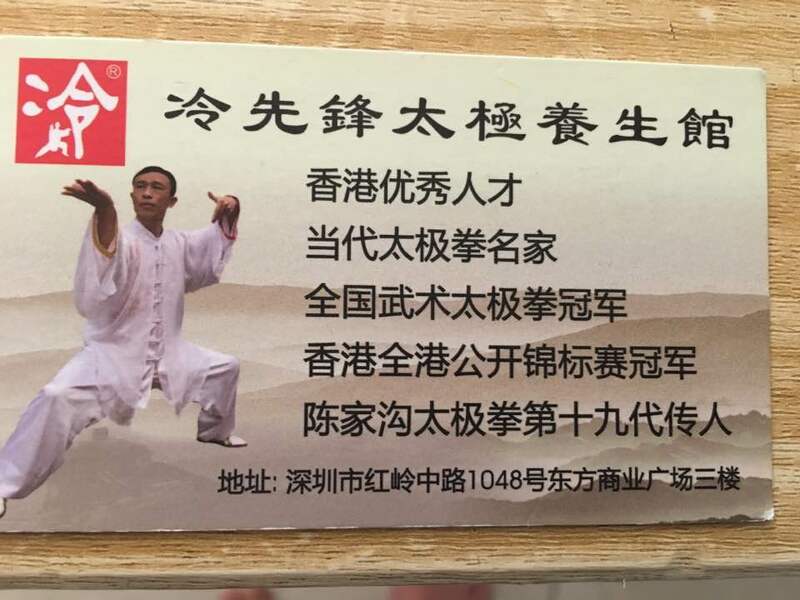 It is truly a great thrill when I see techniques that I developed in our school in Israel mirrored in traditional Asian martial arts. Our style of Krav Maga uses the circle and "Flow like water", "Complete the circle", and "Use the full body". For me this is an evolution of many years. Often students look at me and wonder, What are you doing? Is this really Krav Maga? and I reply, Trust me, those ancient Chinese were not stupid. They knew what they were doing. To go to the source, China, and see these very same elements, in their native land, totally devoid of commercialism and ego, is for me a confirmation of what I have long believed to be true. The song remains the same, the new meets the old, practical self defense of today has its roots in ancient martial forms. 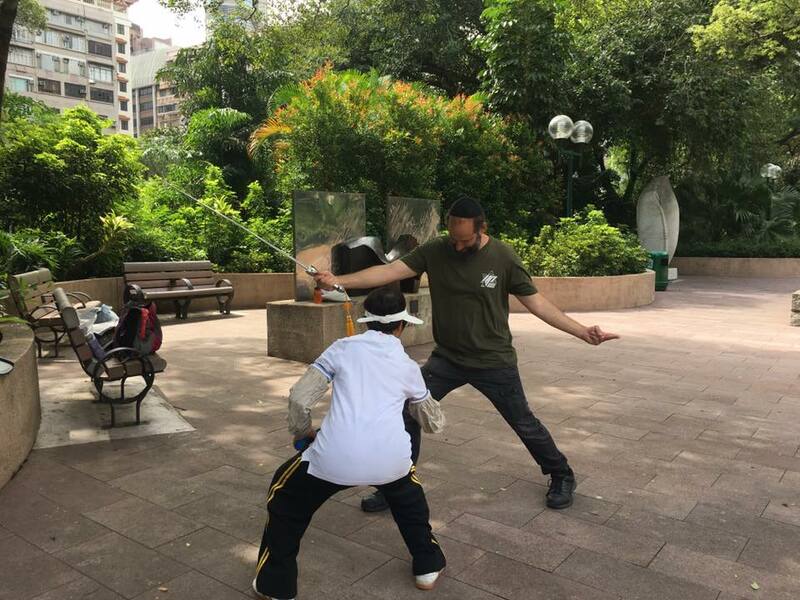 I truly hope to have the opportunity to return and train in Tai Ji, Kowloon Park. Go to the source! For Krav Maga come to us in Israel. For Tai Ji China is the best choice.